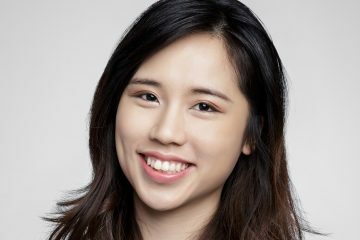 Last week, Anne Stevens, Head of UX Research at Just Eat London, held an AMA with the UXmentor.me community members. 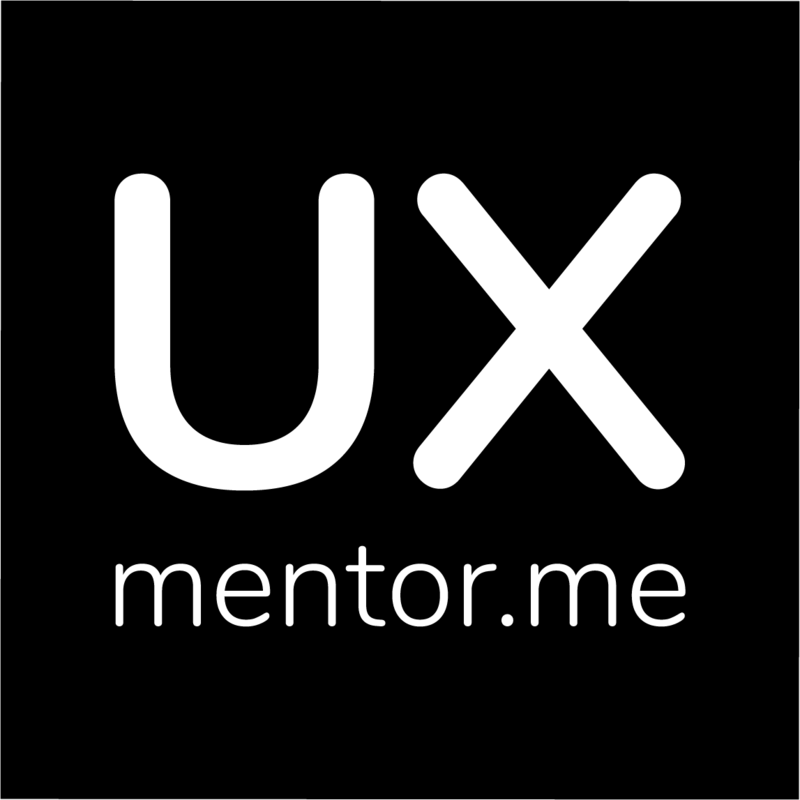 Our goal is to provide members of the UXmentor.me community with a unique opportunity to learn from experts in the UX industry. Participate in the next one by starting now for free. The AMA with Anne was held on October 17th, 2018. This transcript has been edited for punctuation, grammar, etc. Just a quick intro from me. I am the Head of UX Research at Just Eat in London. I’ve been working in UX for about 18 years now. I started right at the bottom and worked my way up doing a combination of UX Design and Research, but have focused on Research for about the last 5 or so years. That’s enough about me I think. Will start to answer your questions. How do you think the field of UX will change in the future and what are the key skills that designers will need? I think we will start to move away from visual interfaces and more towards voice interaction. So perhaps design may become less important than thinking about how people speak and think. I think the key skill for UX is always empathy. That’s my number one thing. You have to be able to see the world as others do. Have you encountered the common misconception that UX/UI and how have you tried to enlighten colleagues to the benefits of UX research? Yes, very often. I think this is a really common misconception and to be fair, it can sometimes be hard to explain the difference clearly. In terms of the benefits of research, I think it’s really clear. You can’t know what your users think and how they behave unless you ask them. It’s the only way to design a truly user-centred product. Yes, analytics will tell you what people do, but it will never tell you why. Only UX Research can do that. How do we think about emerging technologies (e.g., voice, AI) or stay relevant, when we might not be working in that area? I think this is a really tough one. If it’s not an area you work in then perhaps it’s an area you can observe in your personal life. Maybe your company doesn’t have a chatbot, but you can play around with one yourself to get a better understanding of the experience. And I guess there is always learning you can do yourself via Twitter, medium, etc. What are the top 3 things you look for when hiring a new researcher? Experience in more than one methodology, understanding how to share findings and understanding how to frame insights as something actionable. Does a UX researcher need a portfolio? And how to compile a portfolio? Nope, no portfolio is needed. Research does not lend itself to pretty deliverable and anyway, our deliverables are often subject to NDA. Much better is having a case study to talk through which outlines the purpose of the research, how you executed on it and why, and what you did with the findings. What are your suggestions for a new graduate who wants to start a career in UX research, has years of academic research experience but no industry experience? I think if you have academic research experience but nothing in the industry then you should probably be applying for entry-level jobs. Your academic experience will stand you in good stead, but there is a big difference between that and the commercial world so you will still have a lot to learn about how to apply your skills. I’m in the midst of a career change and would like to get in the UX industry. I’m currently doing a UX course but don’t have any experience yet in UX. Can you give some advice on how to best place myself to get a job in UX without having any tech or design background or practical experience in the industry? Well its always going to be hard to get a job with no experience no matter what industry it’s in. You will need to get the best out of your course in terms of putting together a portfolio, and perhaps look to do side projects in your own time to bulk it up. Then its a matter of keeping an eye out for those entry-level jobs where no experience is needed. Of course, they are rare, but there’s no quick way of going straight in somewhere without experience. What do you look for or think about when hiring for permanent vs. contract positions? What are the differences? And how do we adapt to either of those then? For contract roles, I am always looking for someone who has the necessary skills and can get going from day one. Contractors are not usually given a slow start as they are an expensive resource! We need to get our money’s worth from them! For Perm, it’s different as you are looking to invest in someone and help them grow over time, so you are looking for experience, yes, but also the raw talent that can be developed. In both cases, team fit is always super important. You have to go with your gut when hiring. Unless you also want to be a UI designer, I don’t think any graphic design experience is necessary. I don’t have any whatsoever, and I’ve been doing this for 18 years! I don’t think coding experience is necessary either, but fun to learn if you have an interest. I do think you need to have some understanding of the technology you are designing for so that you can understand what’s feasible and why a dev may be pushing back. But that doesn’t mean you have to be able to do the dev’s job for them. I’ve noticed that mature and experienced UXers tend to be quite tolerant while doing a critique of someones prototype/interface/research. And those who are young and passionate fall into aggression and arrogance instead of providing productive feedback. Am I wrong? What do you think of a person’s ability to give a critique and to receive one? Which skills do you value more – giving productive feedback or withstanding against hard critique? Nobody should be giving a hard critique. That’s just rude. We all need to be able to take and give constructive criticism as that’s part of the job as designers. But constructive is the keyword, and feedback should be given objectively and not taken personally. How important is it that you have a ‘degree in a related field’ or something such as General Assembly training if you are looking for junior UX roles? Or is it just about the portfolio and experience? I know that the first generation of UXers (like me!) have very diverse educational backgrounds. Hmmm…well I’m first gen like you, so those degrees didn’t exist when I started. I think if you have relevant work experience the degree is not necessary, but these days it may be hard to get that experience without the degree. Chicken and egg! I would say if you have been lucky enough to learn on the job and can demo that in an interview then the formal piece of paper isn’t necessary. It’s all about whether you have the skills and knowledge to do the job, regardless of how you acquired them. If you have two candidates with a relatively equal theoretical knowledge level in UX and no practical experience – one is a 25-year-old graduate, and another is a 40-year-old career switcher. Whom would you prefer to hire for an Intern/Junior position? It’s not about age, it’s about team fit, so in the scenario you describe I would choose the candidate who best matched the culture and values if the company and the team. Hey Anne – thanks for the time today. I’m a fellow researcher that because of some team reductions might have to start getting into interaction design. What should I look out for/worry about/do to make sure I can handle the different roles without bias? Should I try to offload some research to other team members or push design to other teams? Hey Anne, thanks for doing this. I am transitioning to a full UX Research role now; however, my research approach is more academic than industry research, do you think UX Research should be held to the same standard? With things like statistical significance and the possible introduction of bias and ethical concerns? I would say you will have to let your standards slip 😉 So much industry research is quite quick and dirty and almost never done in an “ideal” way because we rarely have time or budget. I think you would be right to raise any concerns you have a try to make the research more robust, but know when to back down and let it go as you will almost never be able to do academic-style research in a commercial setting. How do you keep research participants focus on their tasks in the sessions if they don’t stop talking? A good tip I was once given is that research is not a social conversation and so the general rules of etiquette don’t necessarily apply. Remember, you are paying them to help you. It’s ok to politely cut them off or remind them of your time limitations, or the topic you want them to focus on. Don’t be afraid to do that politely but firmly, or you will end up wasting your time and money. What is your favourite research technique and why? Rapid research, by which I mean research is embedded in a design team and testing iterations every couple of weeks or so. I love to see Research as a part of a Product team, and not a service that’s brought in and then sent on its way. It’s great for designers to see the research process and get regular contact with users, and it’s great for Researchers to be part of the product decision making process. Have you conducted a diary study at work? If so, can you tell us a specific method to analyse the diary entries? – OR – Can you share any of your experience with analysing qualitative research and how you used the results for stakeholders? Thanks! I haven’t conducted a diary study myself, but I have commissioned an agency to run one for me so I can’t really answer this question. I think the answer would depend anyway on the way in which the study had been conducted and what you hoped to get out of it. The second question is a big one! Too big to answer here in a few sentences. Maybe Chris should do a podcast on this topic. What suggestions do you have about letting your stakeholders know that the insights gathered from the research are going in a completely different direction to how they had assumed? I would say warn them early. As soon as you get a feeling it’s going that way, give them a heads up. Don’t wait for a tah-dah moment in a big room full of people! And be ready to have lots of evidence to back up your assertions as they are going to question you on that for sure! What are your favourite techniques for analysing your findings after research? In a team. As GDS say, “research is a team sport.” Anyone watching the research should take notes and take part in the analysis. The simplest way is to take down your findings on post its and start to group them into themes. At Just Eat we have had a lot of success using Real-time Board which is a virtual post-it tool which allows a lot of collaboration across teams. What’s your view on ‘design exercise’ in the interview process? And is it relevant for research roles (e.g., do a research plan on this problem)? I HATE design exercises. I would never include one in one of my interview processes. I am not in favour of the research plan on the spot thing as its so unrealistic. No one actually plans research like that and an outsider, and there will be tonnes of stuff you don’t know that will stop you from making a realistic plan. I would rather see someone present a case study of some research they have actually done and talked me through that. Maybe the exception to this might be an entry level role. If someone literally has no case studies then maybe a very simple exercise might be useful to see how they think and what they already know and where the gaps are. So what should we do if we were asked to do one during an interview? Or is part of the process? Well if you want the job, then you may just have to jump through the hoop. I have done it myself lots of times. I think it’s up to the individual whether to draw a line and refuse or just play along. I am less angered by exercises that you don’t have to do in your own time 😉 Those are ones I would really consider refusing to do. How important is quant data in UX research? What do I need to know? I don’t think you need to have quant skills, but it’s good to make friends with your analytics or insight teams so that they provide quant data when needed. Sometimes this is useful to back up a finding or to hone in on where you should be focusing your research. If you have quant skills then great, but I think it’s more key to knowing how quantitative and qual can work together to tell a story, and that can be done through teamwork. Do you have some tips for engaging stakeholders who don’t see the value in research? Anne covered a wide variety of topics including transitioning into UX Research, research methods, the future of UX, and more. Many questions seemed to echo the current conversation taking place around UX and its indisputable value for companies that want to design user-centred products or services. A value that, according to Anne, is best created when research is involved in the product decision-making process. Research is the only way to design a truly user-centred product. The key skill for UX is always empathy. You have to be able to see the world as others do. To get hired as a UX Researcher it’s better to have case studies to talk through which outlines the purpose of the research, how you executed on it and why, and what you did with the findings.